Following a lovely spring day surveying at Packwood House, Warwickshire, we are delighted to have been appointed by the National Trust to carry out the rebuilding of the piers on the main entrance driveway. Our survey revealed that the piers are leaning from the brick footing at ground level, so all of the brickwork will need to be carefully dismantled, recorded and re-built from the base up. The pier is of no immediate safety concern but will be rebuilt this year as a precaution. We are busy drawing up each and every brick so that the piers can be rebuilt. The conservation conundrum is whether to rebuild the piers exactly as they were originally - other piers across the site have finials and those on the south piers appear to be missing. The origin of these piers is as yet unclear. Packwood House belonged to the Fetherson Family from the 15th to the 19th Centuries. Charles Fetherson (1815) insisted everything he ate drank, used and wore be grown on his land and made within his walls. Sadly this did not last and the house fell to ruin. Packwood was eventually bought by a midlands industrialist, Alfred Ash in 1905. His son Baron Ash made its restoration his life’s work. The entire interior was inserted in the 1920-1930s garnered from decaying houses across Britain. Baron Ash was of a generation that disliked Georgian and Victorian styles, his aesthetic preference was for the antique. 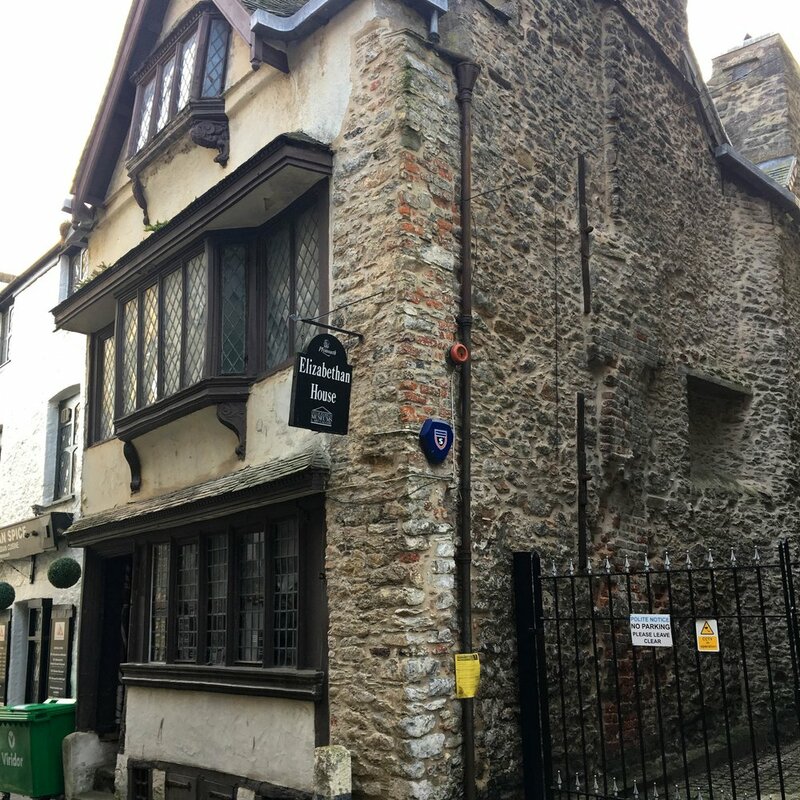 James Mackintosh Architects together with DHV architects have been appointed as conservation accredited architects for the regeneration of the late Sixteenth Century Elizabethan House Museum for Plymouth City Council. The Elizabethan House is a Grade II* listed quay-side merchant’s house in the Barbican area of Plymouth’s beautiful historic old town. The museum is the most complete and unaltered example of a jettied merchant’s house in Plymouth. However, the building is in a poor structural condition and is on Historic England’s Heritage at Risk Register, and needs careful repair work and complete re-servicing to bring it back to life as a cultural destination for Plymouth. We are working alongside a team of specialist consultants on the project to help deliver an imaginative interpretation strategy alongside carefully considered repair and conversion work. The project is being delivered in collaboration with DHV Architects as part of a growing strategic partnership between the practices. The museum is due to re-open in 2020 as a leading component of the Plymouth Mayflower 400 celebrations.